A surprise snow this morning became the perfect backdrop for a still shot of “Snow Gazer” after wearing it nigh an hour of hiking through the snow with Puddles. 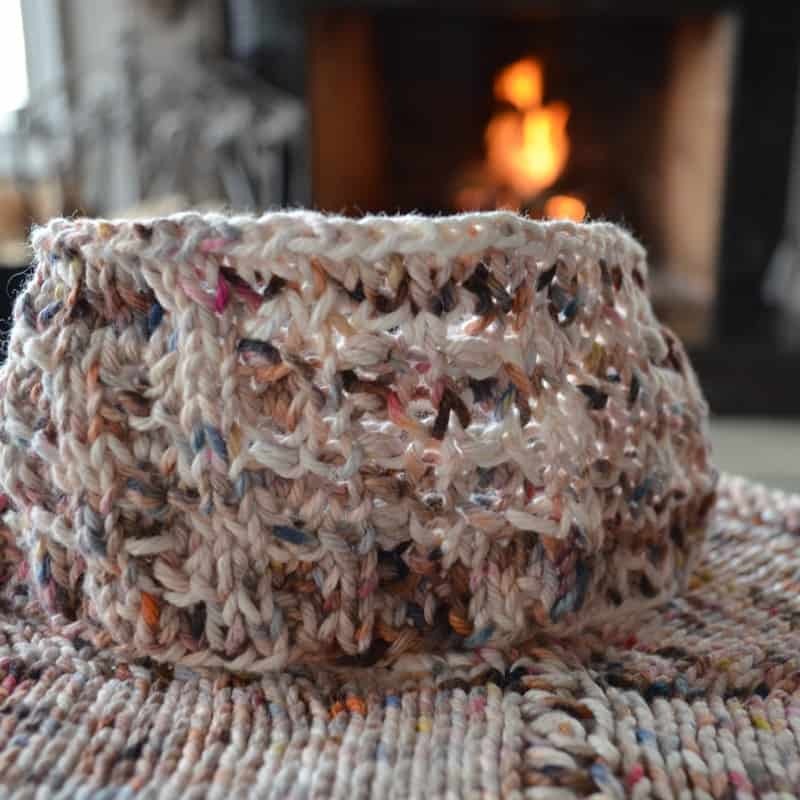 I’m a bulky weight yarn convert! 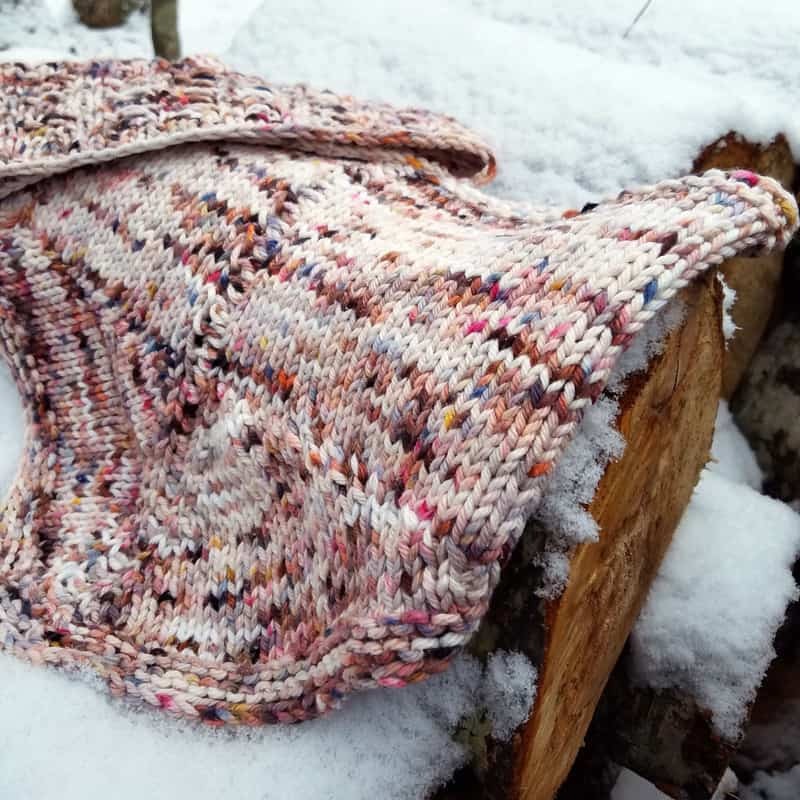 With bulky yarn and “large” needles, I knit a cowl in just a couple of knitting sessions and the headband in just a few hours!! 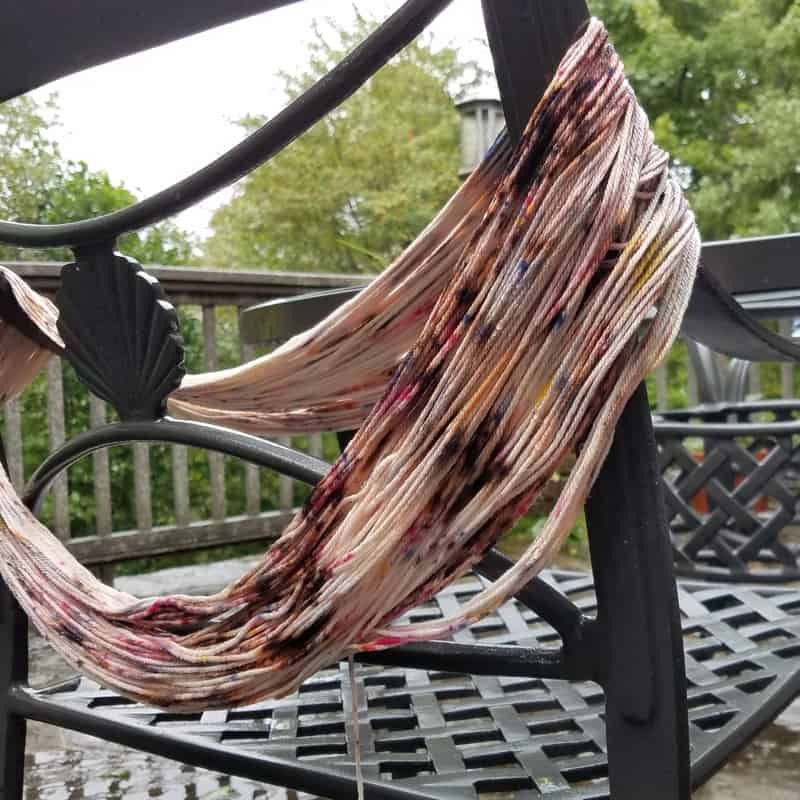 The amazing colors in today’s yarn review are hand dyed by BirdieKnits, a woman with an incredible eye for color and a customer focused business sense. I swatched out on three “huge” needles – US 8, US 9, and US 10 – and to my surprise and delight, all three were rather shift stable changing less than 10% between the “on the needle gauge” and the “washed, blocked gauge.” For this needle range and this yarn, the organic cotton falls in the range of what kind of drape and density do I want for a particular project instead of I must use needle size X in order for my FO to turn out. Since I was loving the speed, I went with US 10s for the final project. 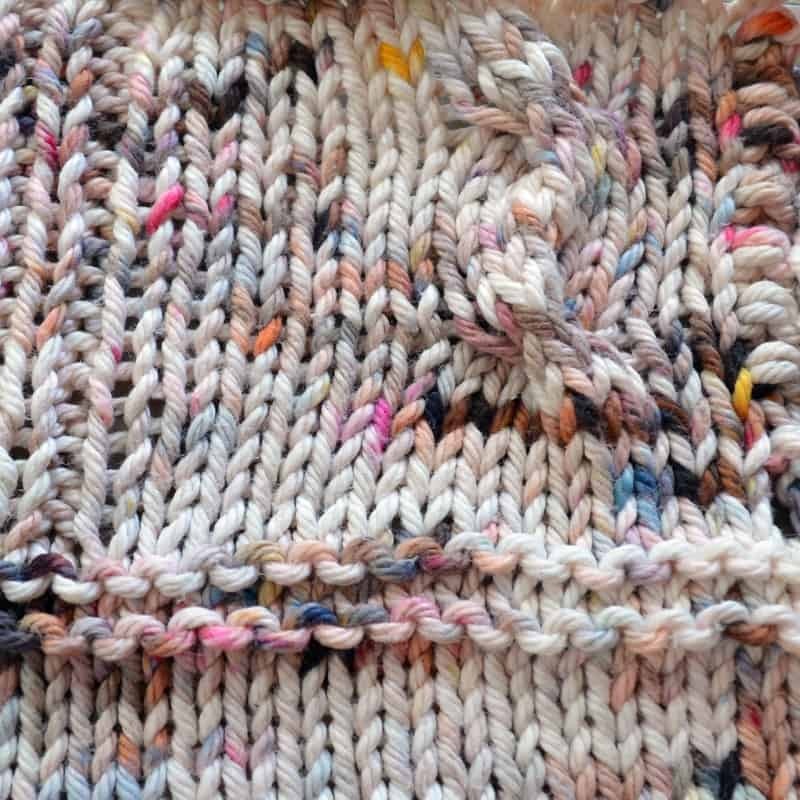 With the variety of colors in this particular colorway, I opted for simple is best in the pattern. However, the yarn itself knits up beautifully in Stockinette, Garter, Rib, cables, and texture! After the “YOs” to mark needle size, I skipped lace as the bulky yarn didn’t sing that song to me. I’m a bulky weight knitter convert in process… maybe next time bulky and lace will sing harmoniously. 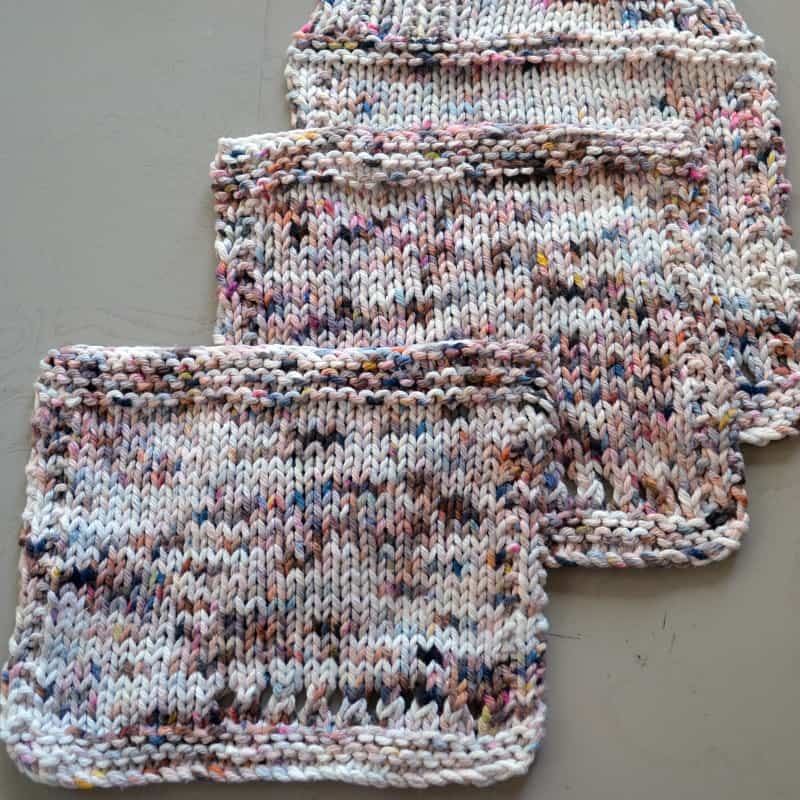 High quality organic cotton yarn base. Excellent customer care – Birdie puts customer service as a top priority! Some areas of fuzzing after wash, but this is typical with the majority of organic cotton bases. Special Note I know a few of you also have EI. Despite Birdies’ best efforts in purchasing eco unscented detergent for the dyeing of my order, I had a cross contamination issue with the products she uses in her regular life, though none were used in the dyeing process. In all other aspects I loved the yarn, but felt compelled to share this in consideration of potential sensitivities. Three months outside airing and Hurricane Irma’s fringe storm finally obliterated the cross contamination. For the “normal knitter” I highly recommend this organic cotton. However for the “EI knitter”, please take note. 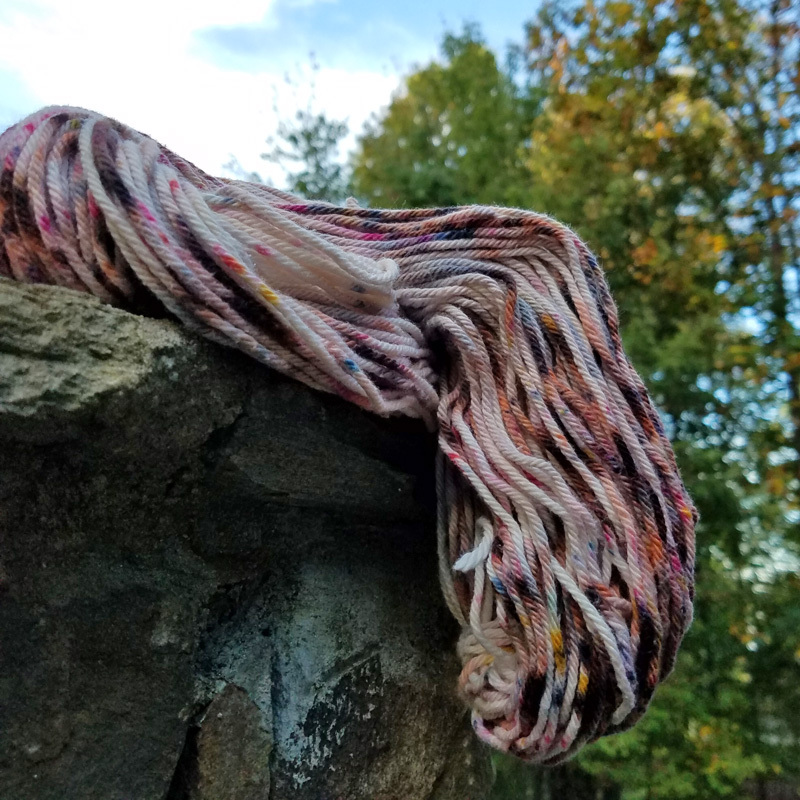 This yarn went through the ringer, literally, hanging months outside in the rain, sun, and Irma fringe storm. The cross contamination allergen eventually washed out and to Birdie’s dyeing credit, the color remained stable. For the non-EI knitter, I give this yarn a 10 out of 10! Thanks Els! I was so relieved… and pleased, when the colors remained as saturated and vibrant as they did the day they went out to start airing.